Café casino is certified by iTech Labs and is licensed by Kahnawake Gaming Commission, ensuring that players have a fair and safe experience when registering with the site. Overall, the site offers a sound selection of games, a great customer support team and a variety of bonuses that will keep players coming back for more. Café casino is a recent introduction to the online gaming market and boasts some really impressive offerings, including three software providers. The site itself is fairly impressive, with clean graphics and an easy-to-navigate interface. Although the selection is not huge, this is to be expected of a site that was only recently launched. What makes this site all the more appealing is the fact that it currently accepts players from the US. The site is licensed by the Kahnawake Gaming Commission. 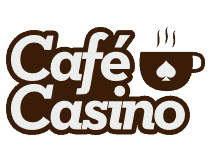 Café casino now accepts deposits made in Bitcoin. Players simply need to add in the correct address and amount into their Bitcoin wallet in order to make a deposit, or alternatively, make use of the Bitcoin app by scanning the QR code which been seen on the review. Café casino is built on an RTG, BetSoft and Rival Gaming platform, allowing the site to offer its players a fair selection of games. The game selection being offered by Café casino is fairly impressive, although not overly large. The site boasts slots, table games and a selection of more unique titles. Some of the slots being offered include a Switch in Time, Aztec’s Treasure, Bowled Over and Cleopatra’s Coins, to name but a few. The table game selection boasts some classic favourites, including poker, craps, roulette, pai gow, rummy, and baccarat. This selection makes it easy for players to get their hands on all of their favourite titles, without overwhelming players with variety. Video poker is in high demand at Café casino and players can expect to come across varieties that include Deuces Wild, Double Double Jackpot Poker, Jacks or Better and Loose Deuces. What is more, these versions are available in single and multi-hand versions, making things all the more interesting. Classic games might be popular within online casinos, but players are always looking for something a little different when they visit an online casino. For this reason, Café casino is offering players a wide range of additional games, including bingo, keno and even Sudoku. This allows players the chance to experience something a little different each time they sign into their online account. Players who enjoy mobile gaming will be happy to know that Café casino is available on Android, Windows and iOS devices, allowing just about anyone and everyone the chance to enjoy what this site has to offer. A sizeable Café casino welcome bonus will start players off on the right foot. This Super Play welcome bonus allows players to choose from among 2 bonuses, the first of which comes with a 35x wagering requirement and the second with a 25x wagering requirement. Players choosing to make a deposit using their Bitcoin account will be happy to know that this first deposit will earn them a free chip, which is subject to a 100x wagering requirement. Players who enjoy their experience within a casino might be convinced to refer a friend to the same establishment, and Café casino rewards these players by offering them a deposit bonus. The friend will receive a free bonus chip, as well as a deposit bonus to ensure that their initial experience with the casino is an exciting one. To keep players coming back for more, the casino is offering players a wide range of perks, including a daily cashback bonus, a weekly prize draw, and weekly bonuses. What is more, players will even be entitled to birthday bonuses, just to make that special day all the more special. Players can get in touch with the customer support team at Café casino via the online contact form or a toll-free number for US players. The team is available on a 24/7 basis, which is very appealing, although it should be noted that there is no live chat feature available at this point in time. Café casino has obtained an iTech Labs certificate, which means that the games are independently audited, and ensures that they are fair.